Enter your email address to subscribe and be first to receive notifications of new posts by email. Go on it's FREE! What can my SMSF invest in? Even the most seasoned SMSF Trustees and members realise that they need to be on top of their game over the coming 12 months. If you are running your own SMSF or your better half is doing so, then drag yourself and them along to the SMSF Association’s SMSF & Investor Event. Let the experts guide you. Peter Hogan our SMSF Education expert will discuss Everything you need to know about starting and receiving pensions – whether you are starting to think about moving into retirement or already earning a pension this session will cover everything you need to know especially as it relates to the Transfer Balance Cap. 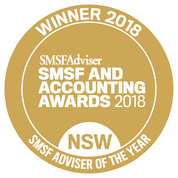 If you are a SMSF Accountant, Auditor or Financial Planner then please pass on this opportunity to your clients as we need SMSF Trustees to be more knowledgeable than ever. Understand that ASIC now expects you to be providing education to your clients and you must find cost effective ways of doing this. Why not leverage of your association membership and provide your clients with access to this event or maybe even come along with a group of them. If you are in Victoria don’t feel left out we will be coming to Melbourne too in June! This information has been prepared without taking account of your objectives, financial situation or needs. Because of this you should, before acting on this information, consider its appropriateness, having regard to your objectives, financial situation and needs. This website provides an overview or summary only and it should not be considered a comprehensive statement on any matter or relied upon as such. From 1 July 2017, the income threshold above which individuals pay an additional 15% tax on certain superannuation contributions reduced from $300,000 to $250,000. In December 2018 the ATO began issuing over 90,000 Division 293 notices for the 2017/18 income year. It is estimated that approximately 44,000 individuals will receive their first Division 293 notice early in 2019. Importantly, there are no strategies that can be used to reduce an individual’s liability for Division 293 tax. However, understanding the options that are available and how the Division 293 notice process works will assist individuals who receive a notice. People with Division 293 income greater than $250,000 will pay 15 per cent additional tax on certain superannuation contributions. The tax is a personal tax rather than a tax deducted from super contributions by a fund. However, individuals may elect to release funds from super to pay the tax (see the Choices section below). Individuals who are not generally high income earners may still be liable for Division 293 tax if they receive certain one-off payments during a year. Such payments include eligible termination payments, the taxable component of a superannuation death benefit and capital gains. it is up to the current low rate cap of $205,000. employer contributions (including salary sacrifice) to a constitutionally protected fund. contributions for certain Judges to defined benefit funds. the amount of Division 293 income and Division 293 contributions above the $250,000 threshold. The ATO issues an Additional tax on concessional contributions (Division 293) notice to individuals which specifies the additional amount of tax that is payable and the due date for payment. The ATO has recently redesigned the Division 293 notice to provide information clearly and concisely. This includes providing the full assessment calculation to make it easier for people to understand how their tax has been calculated. This will also make it easier to identify any erroneous assessments due to incorrect reporting of information. The notice will also explain how to avoid interest charges, view statements of accounts online and the process for disagreeing with the assessment. When an individual receives a Division 293 assessment they can choose to pay the tax from their personal resources. Alternatively, they can elect to have the amount released from their super fund to pay the tax. The time frame for making the election is 60 days. However, this may be a greater time frame than the date upon which payment of the tax is due. The ATO encourages people to make their election via their MyGov account. Alternatively, a Division 293 tax due and payable form can be completed. The election can be made to release the tax amount from any super fund (other than some defined benefit funds). There is no requirement for the release to be made from the fund that received the contributions. If an election to have the amount released from super is made, the ATO will send the super fund a release authority and the fund will make the payment to the ATO. Funds are required to make the payment within 10 business days from the date the release authority is issued by the ATO. Importantly a fund must not release an amount until they have received the ATO release authority. This requirement is sometimes misunderstood by SMSF trustees. Understanding the choices available and the process involved in paying Division 293 tax can assist in ensuring that any tax payable is completed in a manner most appropriate to an individual’s circumstances. Are you looking for an advisor that will keep you up to date and provide guidance and tips like in this blog? Then why not contact me at our Castle Hill or Windsor office in Northwest Sydney to arrange a one on one consultation. Just click the Schedule Now button up on the left to find the appointment options. Throughout the last year as I have gone through the 30 June 2018 SMSF financials with clients and pointed out to them the amount of franking credits they had earned in their fund and the value of them to their retirement income, many have been alarmed to hear of Labor’s proposal to deny them the refund of any excess franking credits. There has been a lot written in the press about this matter and much of it amounts to bashing self-funded retirees for carefully using the system to develop portfolios that would deliver the best return for their capital in a way that suited their risk tolerance and bias towards Australian assets. The House of Representatives Standing Committee on Economics will hold public hearings in numerous locations in New South Wales and Queensland for its inquiry into the implications of removing refundable franking credits. I strongly urge you to consider going along to one of the hearings and voicing your opinion or support others who are going to speak but need some back-up. Mr Wilson said ‘the committee has received well over 1000 submissions, including many from retires who are concerned they will be forced on to the aged pension if the ability to claim a refund on their franking credits is removed.’ ‘These hearings will provide an opportunity for Australians impacted by a change to refundable franking credits to address the committee directly with a three-minute statement, and we welcome their contributions and participation’. Mr Wilson said. Further public hearings will be announced as the inquiry progresses. The hearings will be webcast live (audio only). A number of submissions have been received and are available on the committee’s webpage at: http://www.aph.gov.au/economics. A number of submissions are currently being processed and will be published over the coming months. Submissions can be made online or by emailing economics.reps@aph.gov.au. One of the issues is that they may not be very transparent about how they’re interconnected. Always ask each party what their fees are and do they pay any form of remuneration, fees, referral commission charges etc to any other party. 397 – “The use of property one-stop shops is an area of significant concern. These models tend to promote the purchase of geared residential property through an SMSF, arranged by groups of related real estate agents, developers, mortgage brokers, accountants and financial advisers. 398 – The one-stop shop model creates inherent conflicts of interest that may affect the advice given to a client to set up an SMSF, make subsequent investments, or use specific services. These conflicts can arise from direct or indirect commissions, referral payment arrangements, representative remuneration structures or even management pressures. shop operators and take enforcement action where appropriate. Despite these warnings ASIC’s further research has shown that people still value the idea of a One-stop-shop for their advice needs when buying property. I assume this is because people just like simplicity and want someone to manage the process for them. Well you can have that simplicity without the inherent dangers involved by choosing to work with professionals who charge a fee for service for their advice and do not accept commission or any remuneration from other parties or fully disclosed like such as with a Mortgage Broker who is remunerated by the lender. I do not provide specific advice on “the property” for you and stick to my area of expertise; whether an SMSF is right for you and how you can use it to achieve your goals. I charge you a specific fee for this advice which is outlined in a Letter of Engagement before you commit to my service. If you want ongoing advice, again I explain it up front in an Ongoing Service Agreement. If people want help choosing a property, again I have a number of trusted Buyer’s Agents throughout the country that are on hand to provide advice. I do not receive any commission, fees or other remuneration from these providers. I simply insist they take good care of my clients. 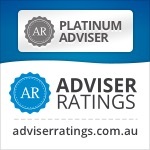 If you need assistance in getting finance arranged then I refer you to a number of brokers who have experience and expert knowledge in SMSF Lending. I do not receive any commission, fees or other remuneration from these providers. I simply insist they take good care of my clients. Legal Advice/Conveyancing – If you do not have a current lawyer or they do not have SMSF experience then I refer clients to a number of lawyers / conveyancers with specific experience and expertise in the rules around SMSFs for property transactions, powers of attorney and estate planning. I do not receive any commission, fees or other remuneration from these providers. I simply insist they take good care of my clients. Can you say the same about your service providers? Who will be affected by the denial of cash franking credit refunds? Sometimes you can’t sit back and accept policy changes by governments. You have to step up to stop bad policy regardless of your political persuasion. The problem is that many people don’t understand the imputation system so when I sit with clients and we talk about what it means for them we have to put it in terms they understand. For many of my self funded retirees it will mean $5000 to $20,000 loss in income per year going forward if past in to legislation. So they may still be able to meet their basic living expenses but it is the little extras that they worked hard to save for that they will lose and it feels like they are been punished for trying to fund their retirement. It means cutting out the holiday, the presents for the grandkids, the renos on the bathroom or any other little things they had saved hard to be able to afford. So once alerted to the potential loss of income most are angry but too few have been made aware of it by their tax agents and advisors. I have included below a link to their latest version of the fact sheet and would encourage you to visit their website, share with clients, friends and colleagues and sign up to their newsletters here. One of my most popular long term blogs is Why Self Managed Super Funds Should Have A Corporate Trustee and thankfully most new SMSFs are finally being set up with a corporate trustee from the outset. But that leaves many existing SMSFs with Individual Trustees and I get numerous questions about the cost of the transfer process. If you are considering an SMSF the I would encourage you to read through that article and feel free to pass it on to your friends, family or advisors. Then all assets need to be moved in to new Accounts in the name of the new Trustee company. Wrap Platforms – depends on the provider but usually you will have to set up a new Account and they will in-specie transfer them across. Property will depend on the State but some have an exemption or concessional stamp duty and only a small fee for changing the trustee on the title. See more detail here Stamp Duty Requirements on Change of SMSF Trustees as of 01 Jan 2015 – I will try to get this update shortly. Costs should not be a deterrent as a sole Purpose Trustee company ASIC review fee is only $53 per year and you can lock that in and get a discount for up to 10 years. See here for more detail on that discount. Finally if you are considering trying to save some costs by using the same company as your Business or Family Discretionary Trust then I would recommend you read this article first: Trading Company as SMSF Trustee or Sole Purpose SMSF Trustee Company? Self-funded retirees have felt like punching bags for the last few years with hit after hit chipping away at their ability to fend for themselves within the rules they had relied upon in making their savings plans over the last 30 years. Combine the changing of goal posts with low interest rates and blue-chip underperformance from the banks, telcos and utilities and they are not to be blamed for thinking a hex had been put on them. So an SMSF friendly budget is the welcome news coming out of the 2018-19 Federal Budget. With many of us SMSF Specialists and you the SMSF members still working through the wide-reaching and complex superannuation changes which took effect from 1 July 2017, this Federal Budget will provide much needed stability while looking to reduce costs for SMSFs and prove additional flexibility. Three-yearly audit cycle for some self-managed superannuation funds. The Government will change the annual SMSF audit requirement to a three yearly requirement for SMSFs with a history of good record keeping and compliance. The measure will start on 1 July 2019 for SMSF trustees that have a history of three consecutive years of clear audit reports and that have lodged the fund’s annual returns in a timely manner. One concern I have is if trustees make a mistake in year 1 that is not discovered until year 3, will they face 3 years interest charges on the penalties. As already announced, the Federal Government confirmed its decision to expand the number of members allowed in an SMSF from four to six. Expanding the definition of an SMSF to a fund with a maximum of six members will provide greater flexibility in how funds can be structured. Whilst there are some concerns over making decisions I like this move where as mum and dad in their later years want to reduce their involvement but they want help rather with the fund rather than moving to separate retail funds. It may help prevent elder Financial abuse where instead of one child assuming control of the SMSF, more of the family could be involved. Temptation and inheritance impatience is always there for one person but add a few others in to the decision making and the risk of financial abuse reduces considerably. Also 6 members of a family small business allows for later drawdown from the parents accounts and recontribution for younger family members to retain business real property in the fund after death of the older generation. The Government will provide more time for Australians aged 65 to 74 to boost their retirement savings, by introducing an exemption from the superannuation work test.This exemption will apply where an individual’s total superannuation balance is below $300,000 and will permit voluntary superannuation contributions in the first year that they do not meet the work test requirements. Life insurance cover in super to be opt-in for individuals under 25 years of age. The Government will legislate that life insurance cover in superannuation will be opt-in for those individuals under 25 years of age or with account balances under $6000 to ensure that unnecessary fees do not erode smaller balances. Life insurance cover will also cease where no contributions have been made for a period of 13 months. If you have kept a retail or industry fund open with small balances to retain insurances you may need to put a small annual contribution in place (I would recommend $100 per half year just in case) to ensure it does not get tagged as dormant. • Increase to the Pension Work Bonus from $250 to $300 per fortnight. • Amendments to the pension means test rules to encourage the take up of lifetime retirement income products. • Expansion of the Pensions Loan Scheme to allow more Australians to use the equity in their homes to increase their incomes. I think this will be a major bonus for those with a lumpy asset or shareholding’s they wish to retain but need more cashflow. At a current rate of 5.25% the Pensions Loan Scheme is a very decent rate and security that you are borrowing from a bank or predatory lender based on a brokers conflicted commissions. The Government has provided personal income tax relief to lower and middle income earners. A Low and Middle Income Tax Offset will now be available for individuals with incomes of up to $125,333. The $87,000 income threshold, above which a 37 per cent tax rate applies, will increase to $90,000. • A surplus of $2.2 billion is expected in 2019-20, one year ahead of schedule. • The Government’s planned increase in the Medicare levy from 2 per cent to 2.5 per cent, to fund the National Disability Insurance Scheme, will now not go ahead due to increased tax revenues. Some of these measures may open up strategy options for you and your family. If you have any questions or would like further clarification in regards to any of the above measures outlined in the 2018-19 Federal Budget, please feel free to give me a call or email to arrange a time to meet or talk by phone so that we can discuss your particular requirements in more detail. Are you looking for an advisor that will keep you up to date and provide guidance and tips like in this blog? then why now contact me at our Castle Hill or Windsor office in Northwest Sydney to arrange a one on one consultation. Just click the Schedule Now button up on the left to find the appointment options. Adapted from ‘Managing Transitions’ by William Bridges. Retirement. It’s something you’ve thought about for years but kept saying you will deal with it nearer the time. But how do you make sure you’re ready to deal with change when you do come to retire? So this blog is not about money, it’s about managing change, anxiety and relationships during one of the biggest changes in your life. It has been adapted from an US article. Retirement might be your time to do your own thing, to travel overseas, go bush in the outback, spend quality time with your loved ones, to return to education, start a different career, take up a volunteer activity, begin an exercise program, or pursue a hobby. There are so many things you could be doing with your newfound time. It seems as though the possibilities for life changes in retirement are endless. But many struggle in that initial period. Even though you are excited to enter this new stage of life, the amount of change can feel overwhelming and it can intimidating to handle change in retirement. If a lifetime of work demanded much of your time and attention, you may not have had the opportunity to develop many leisure time interests. You may find yourself looking for new things to do and get involved with. If many of your social activities have involved people from work, you may want and need to develop friendships that are based on your new interests (think about Rotary, Probus, Men’s Shed, Book Club, Classic Car Group, Yoga, Red Hat Society, Bush Walking Club etc.). If you are retiring and adjusting to an empty nest at the same time, you may feel especially challenged handling all of this change associated with retirement. Despite wanting to retire, adapting to so many changes in your life can be difficult. How you’ve handled change during your lifetime can offer insight into how well you’ll adapt to change in retirement. Having an awareness of how to better manage change can improve your adjustment to retirement. 2. Why do you want to make these changes? It’s not enough to say you want to improve your diet or read more books. It’s time to figure out the benefits of making these changes. What will you gain by eating differently or reading more? Recognise why you want to make the change so that you’ll be encouraged to follow through with it. 3. What change do you want to make first? If you’ve been thinking about all you could do in retirement, you may discover that it’s hard to figure out where to begin. Feeling overwhelmed by the choices may mean that you don’t select anything. Keep it simple. If you could change just one thing, what would it be? 4. What impact will your changes have on others? Often if we change something in our life, it has a domino effect. If you go back to school, you may need to use weekend time for studying. If your volunteer project involves evenings, you may need to give up some family time. Recognise that others in your life may question the changes that involve them. Talk about the upcoming changes with significant others and gain their support. 5. Are you willing to change? Are you going to be frustrated making a change in your life when it isn’t something you truly want to do? If you’re a stay-at-home person, don’t kid yourself and try to adopt a freewheeling, caravanning lifestyle just because others say you’ll love it. This is could be a change that you won’t really be willing to make long-term. 6. Are you ready to change? It’s one thing to say you want to start exercising, volunteering or start learning a language. Doing it may be harder than you think. You may be someone who finds change is really difficult. If that’s you, prepare yourself mentally for more challenges right at the start. 7. Are you prepared to make the effort? Making changes in your life requires an effort. Be ready for a learning curve and some inherent frustrations. As adults, we get comfortable in our habits and routines. If you really want to begin an exercise program, you may need a significant amount of willpower to get yourself started. 8. Who can help you change? When you’re learning something new, ask for help. Join a group, connect online or ask others in your network for advice. You may have spent your whole life wanting to figure things out for yourself. Recognise that your time now is a valuable resource. Don’t waste it. Ask for help. 9. Can you check your ego at the door? The first time you try doing something new, it’s likely you won’t be great at it. New things take practice. Don’t let your fear of failure or ego get in the way of learning something new. Look at it this way—you made it this far in life, you are certainly capable of learning a yoga pose or to put up shelves. 10. Are you seeing the results you expected? Make your changes and give yourself a reasonable amount of time to get used to them. Are you seeing the benefits you expected? If not, chalk it up to good experience and move on. Accept that retirement will bring many changes in your life. Increasing your awareness about how you adapt to change will contribute to your overall retirement happiness. Looking for an adviser that will keep you up to date and provide guidance and tips like in this blog? Then why not contact me at our Castle Hill or Windsor office in Northwest Sydney to arrange a one on one consultation. Just click the Schedule Now button up on the left to find the appointment options. Do it! make 2018 the year to get organised or it will be 2028 before you know it. Please consider passing on this article to family or friends. Pay it forward! SMSF Corporate Trustee Structure Finally Outnumbering Individual Trustees. For the last decade every time I saw the SMSF statistical results issued by the ATO I was dismayed by the number of new SMSF funds being set up with Individual Trustees, often well over 80% each year. I assumed this was people setting up self managed superannuation funds without good advice or reasonable research. So I was delighted to see the latest stats provided by the ATO for 2015-16 but including some 2016-17 data which has seen a complete turnaround with over 80% of new SMSFs being set up with Corporate Trustees and the overall numbers on existing funds turning in favour of using a company. At 30 June 2017, 57% of all SMSFs had a corporate trustee rather than individual trustees. Of newly registered SMSFs in 2015 to 2017, on average 81% were established with a corporate trustee. A few times over the last 5 years I have run polls asking professionals in the SMSF industry whether they would recommend individual or corporate trustees. Every time the overwhelming result is in favour of Corporate Trustees. So over 90% of professionals who deal day in day out with SMSF issues and like myself deal with some of the fallout when approached by grieving widows(ers), recommend a Corporate trustee for an SMSF. Costs should not be a deterrent as a sole Purpose Trustee company only costs about $600-$880 to set up and the ASIC review fee is only $48 per year and you can lock that in and get a discount for up to 10 years. See here for more detail on that discount. I have set out my arguments for a Corporate Trustee in this previous article Why Self Managed Super Funds Should Have A Corporate Trustee. If you are considering an SMSF the I would encourage you to read through that article and feel free to pass it on to your friends, family or advisors. When I talk to self-directed SMSF trustees their excuse for not diversifying more from Aussie Shares and Term Deposits was that it was difficult to understand some sectors and to get a decent diversification without building a huge portfolio of stocks, unlisted managed funds, bonds, hybrids etc. They hated application forms especially for SMSF investments but they have been reluctant to use a platform despite my argument that often a platform was a useful vehicle. Most just are not interested in another layer of fees for their SMSF. Each to their own so I left the argument there. However now the mountain is coming to them! The following is general information and not a recommendation, you still need to do your own research or get advice for your personal circumstances. In November 2017 Vanguard Australia finally launched a suite of four exchange traded funds (ETFs) that provide greater access to their leading diversified portfolio strategies. This will make SMSF and personal investing a far more accessible and transparent option for many and ultimately help them achieve their financial goals at a lower cost, easier reporting and with less paperwork than currently. They offer a great opportunity to develop a well simple, market leading diversified core to your portfolio. The four Vanguard Diversified Index ETFs build on their extensive suite of ETFs and unlisted Managed Funds, and are one of the first ETFs allowing investors to gain diversification across and within all major asset classes, while making a clear choice about how much risk they take on. I would argue that AMP’s DMKT and Schroder’s GROW do this to some extent but not at this low a cost as they are actively managed an many might think they are a good blend with Vanguard’s new range. The conservative (VDCO), balanced (VDBA), growth (VDGR) and high growth (VDHG) ETFs offer investors simple, single trade access to Vanguard’s global expertise in portfolio management and asset allocation, with annual investment costs at just 0.27 per cent. Yes that’s only $2.70 management fee for every $1000 invested in a diversified portfolio, wipe the floor of many industry and retail super funds. Each Diversified Index ETF is a share class of an existing Vanguard Diversified Index Fund, meaning ETF investors can tap into the benefits of an established asset pool, collectively worth more than $7 billion, through Vanguard’s existing range of non-listed multi-asset funds. Vanguard’s Diversified Index Funds consistently rank in the top quartile of performance with their peers over three, five and 10 year periods, according to Morningstar. Each Vanguard Diversified Index ETF provides investors with extensive global exposure to around 6500 individual companies and more than 5000 fixed income securities. which are owned by their shareholders. Vanguard’s Investment Strategy Group, a global team of researchers and analysts, set the asset allocation of the diversified funds as part of a robust framework used by Vanguard globally. This framework includes analysis of concentration risk and currency exposure, and incorporates comprehensive modelling generated by Vanguard’s proprietary forecasting engine, the Vanguard Capital Markets Model. Full details about Vanguard’s new Diversified Index ETFs can be found at www.vanguard.com.au/diversifiedETFs. I love working on strategies for clients but sometimes you just need a true expert or excellent software to crunch the numbers. I was looking for some ideas on downsizing as it had become clear to me that is was not the panacea to retirement funding that client’s often believe it would be. So I was looking for an in-depth article working through the numbers and Rob van Dalen of Optimo Financial has kindly stepped up to provide the required analysis in our latest guest blog. Rob’s main warning is to do your sums on your own particular situation before leaping in to a downsizing strategy. In this example, we look at the case of David and Alice who have recently retired and who will soon both be eligible for the age pension. David was born on 11 April 1953 while Alice was born on 15 November 1952. They have a modest $400,000 in super. Their other assets are the family home valued at $900,000 and personal assets valued at $40,000. They have no debt. They would like to have $50,000pa (increasing at CPI) for living expenses. They are worried that their super is not sufficient to maintain their desired income. Consequently, they have contemplated selling the family home and moving to a cheaper area where they could buy a new home for $500,000. Will downsizing leave them better off? We first examine the scenario where David and Alice retain their current home. In this case, they will receive income from the government pension as well as drawing a pension from their own super. Figure 1 shows the sources of their income over a 20 year period. David and Alice receive approximately 64% of their income from the age pension and associated benefits (see also Figure 6 below). The remainder is withdrawn from their pension account through withdrawing the minimum amount each year (plus some extra for the first few years until they become eligible for the age pension). Their age pensions are limited approximately equally by the income and assets tests. After 20 years, David and Alice have a combined wealth of $1,960,000 most of which is from the family home. The next scenario sees David and Alice downsizing their family home from $900,000 to $500,000 in 2016/17. Their ages enable them to deposit the excess funds generated from the house sale into super as non-concessional contributions. However, a Pathfinder® analysis shows that increasing their superannuation balance reduces their age pension because, unlike the family home, super counts towards the age pension assets test and is deemed for the income test. Figure 2 shows the results of the age pension assets and income tests for David and Alice and we can see that their pension is now limited by the assets test. For a home owning couple, the age pension reduces at a rate of $3 per fortnight for each $1,000 of assets in excess of $575,000. This taper rate was doubled from 1 January 2017, so now has a much larger impact on the pension received. So in 2019/20, for example, their age pension reduces from $36,337 to $9,004 and they must draw more from their pension account to make up the difference. Their wealth after 20 years is now projected at $1,581,000 or about $379,000 less than in the first scenario. In the third scenario, we examine the possibility that David and Alice defer the downsizing for ten years, say in 2027/28. Their age pension is initially unaffected until they downsize the family home, but after that time their age pension payments are severely curtailed. Their projected wealth after 20 years is now $1,714,000. This is a better outcome than in the second scenario but is still $246,000 less than if they keep their existing home. Figure 3 gives a comparison of the annual age pension received in the three scenarios. You can see that the scenario where they retain their current home, yields a higher pension and that their pension drops sharply after the sale of their house in the other two scenarios. Figure 4 shows the total age pension payments over the 20 years. You can see that by keeping their original family home, their total pension entitlement is significantly higher than either of the downsizing options we analysed. Figure 5 shows the total wealth over the 20 year period analysed. The first point to note is the importance of the age pension towards retirement income, depending, of course, on the particular circumstances. Figure 6 shows the composition of retirement income over the 20 years analysed for Scenario 1. In this example, the age pension plus estimated concession card benefits contribute about 64% to income while the account based pensions contribute about 36%. The second point is that downsizing the family home may not result in improving the overall situation as an increase in payments from a private pension may be more or less offset by a decrease in the age pension. In our Pathfinder® analysis, we find, perhaps surprisingly, that a couple could be considerably worse off by downsizing the family home. Any funds added to super by the income generated from downsizing could be dissipated by a reduction in the age pension. In addition, the costs of sale and repurchase of a family home are significant. The age pension can provide a buffer between retirement savings and lifestyle expenses. For persons eligible for the age pension, downsizing the family home may leave you worse off financially because of the impact of the age pension income and assets test. With all the talk about Total Super Balance caps and where people will invest money going forward if they can’t get it in to superannuation, the spotlight is being shone on “trusts” at present. This has also brought with it the claims of tax avoidance or tax minimisation, so what exactly are trusts and are there differences between Family Trusts, Units Trusts, Discretionary Trusts and Testamentary Trusts to name a few. Trusts are a common strategy and this article aims to aid a better understanding of how a trust works, the role and obligations of a trustee, the accounting and income tax implications and some of the advantages and pitfalls. Of course, there is no substitute for specialist legal, tax and accounting advice when a specific trust issue arises and the general information in this article needs to be understood within that context. Trusts are frequently used in family situations to protect assets and assist in tax planning. Although trusts are common, they are often poorly understood. A frequently held, but erroneous view, is that a trust is a legal entity or person, like a company or an individual. But this is not true and is possibly the most misunderstood aspect of trusts. A trust is not a separate legal entity. It is essentially a relationship that is recognised and enforced by the courts in the context of their “equitable” jurisdiction. Not all countries recognise the concept of a trust, which is an English invention. While the trust concept can trace its roots back centuries in England, many European countries have no natural concept of a trust, however, as a result of trade with countries which do recognise trusts their legal systems have had to devise ways of recognising them. The nature of the relationship is critical to an understanding of the trust concept. In English law the common law courts recognised only the legal owner and their property, however, the equity courts were willing to recognise the rights of persons for whose benefit the legal holder may be holding the property. Put simply, then, a trust is a relationship which exists where A holds property for the benefit of B. A is known as the trustee and is the legal owner of the property which is held on trust for the beneficiary B. The trustee can be an individual, group of individuals or a company. There can be more than one trustee and there can be more than one beneficiary. Where there is only one beneficiary the trustee and beneficiary must be different if the trust is to be valid. The courts will very strictly enforce the nature of the trustee’s obligations to the beneficiaries so that, while the trustee is the legal owner of the relevant property, the property must be used only for the benefit of the beneficiaries. Trustees have what is known as a fiduciary duty towards beneficiaries and the courts will always enforce this duty rigorously. The nature of the trustee’s duty is often misunderstood in the context of family trusts where the trustees and beneficiaries are not at arm’s length. For instance, one or more of the parents may be trustees and the children beneficiaries. The children have rights under the trust which can be enforced at law, although it is rare for this to occur. A common issue with all trusts is access to income and capital. Depending on the type of trust that is used, a beneficiary may have different rights to income and capital. In a discretionary trust the rights to income and capital are usually completely at the discretion of the trustee who may decide to give one beneficiary capital and another income. This means that the beneficiary of such a trust cannot simply demand payment of income or capital. In a fixed trust the beneficiary may have fixed rights to income, capital or both. In essence these are trusts where the trustee holds the trust assets for the benefit of specific beneficiaries in certain fixed proportions. In such a case the trustee does not have to exercise a discretion since each beneficiary is automatically entitled to his or her fixed share of the capital and income of the trust. These are generally fixed trusts where the beneficiaries and their respective interests are identified by their holding “units” much in the same way as shares are issued to shareholders of a company. The beneficiaries are usually called unitholders. It is common for property, investment trusts (eg managed funds) and joint ventures to be structured as unit trusts. Beneficiaries can transfer their interests in the trust by transferring their units to a buyer. There are no limits in terms of trust law on the number of units/unitholders, however, for tax purposes the tax treatment can vary depending on the size and activities of the trust. These are often called “family trusts” because they are usually associated with tax planning and asset protection for a family group. In a discretionary trust the beneficiaries do not have any fixed interests in the trust income or its property but the trustee has a discretion to decide whether anyone will receive income and/or capital and, if so, how much. For the purposes of trust law, a trustee of a discretionary trust could theoretically decide not to distribute any income or capital to a beneficiary, however, there are tax reasons why this course of action is usually not taken. The attraction of a discretionary trust is that the trustee has greater control and flexibility over the disposition of assets and income since the nature of a beneficiary’s interest is that they only have a right to be considered by the trustee in the exercise of his or her discretion. A bare trust exists when there is only one trustee, one legally competent beneficiary, no specified obligations and the beneficiary has complete control of the trustee (or “nominee”). A common example of a bare trust is used within a self-managed fund to hold assets under a limited recourse borrowing arrangement. These are trusts which have both discretionary and fixed characteristics. The fixed entitlements to capital or income are dealt with via “special units” which the trustee has power to issue. As the name implies, these are trusts which only take effect upon the death of the testator. Normally, the terms of the trust are set out in the testator’s will and are often used when the testator wishes to provide for their children who have yet to reach adulthood or are handicapped. All superannuation funds in Australia operate as trusts. This includes self-managed superannuation funds. The deed (or in some cases, specific acts of Parliament) establishes the basis of calculating each member’s entitlement, while the trustee will usually retain discretion concerning such matters as the fund’s investments and the selection of a death benefit beneficiary. The Federal Government has legislated to establish certain standards that all complying superannuation funds must meet. For instance, the “preservation” conditions, under which a member’s benefit cannot be paid until a certain qualification has been reached (such as reaching age 65), are a notable example. Special Disability Trusts allow a person to plan for the future care and accommodation needs of a loved one with a severe disability. Find out more in this Q & A about Special Disability Trusts. You may wish to provide long term income benefit to a charity by providing tax free income from your estate, rather than giving an immediate gift. This type of trust is effective if large amounts of money are involved and the purpose of the gift suits a long term benefit e.g. scholarships or medical research. A Life Interest or Right of Residence can be set up to provide for accommodation for your beneficiary. They are often used so that a family member can have the right to live in the family home for as long as they wish. These trusts can be restrictive so it is particularly important to get professional advice in deciding whether such a trust is right for your situation. Although a trust can be established without a written document, it is preferable to have a formal deed known as a declaration of trust or a deed of settlement. The declaration of trust involves an owner of property declaring themselves as trustee of that property for the benefit of the beneficiaries. The deed of settlement involves an owner of property transferring that property to a third person on condition that they hold the property on trust for the beneficiaries. The person who transfers the property in a settlement is said to “settle” the property on the trustee and is called the “settlor”. In practical terms, the original amount used to establish the trust is relatively small, often only $10 or so. More substantial assets or amounts of money are transferred or loaned to the trust after it has been established. The reason for this is to minimise stamp duty which is usually payable on the value of the property initially affected by the establishing deed. The identity of the settlor is critical from a tax point of view and it should not generally be a person who is able to benefit under the trust, nor be a parent of a young beneficiary. Special rules in the tax law can affect such situations. Also critical to the efficient operation of a trust is the role of the “appointor”. This role allows the named person or entity to appoint (and usually remove) the trustee, and for that reason, they are seen as the real controller of the trust. This role is generally unnecessary for small superannuation funds (those with fewer than five members) since legislation generally ensures that all members have to be trustees. In principle, the trust fund can include any property at all – from cash to a huge factory, from shares to one contract, from operating a business to a single debt. Trust deeds usually have wide powers of investment, however, some deeds may prohibit certain forms of investment. The critical point is that whatever the nature of the underlying assets, the trustee must deal with the assets having regard to the best interests of the beneficiaries. Failure to act in the best interests of the beneficiaries would result in a breach of trust which can give rise to an award of damages against the trustee. A trustee must keep trust assets separate from the trustee’s own assets. A trustee is personally liable for the debts of the trust as the trust assets and liabilities are legally those of the trustee. For this reason if there are significant liabilities that could arise a limited liability (private) company is often used as trustee. However, the trustee is entitled to use the trust assets to satisfy those liabilities as the trustee has a right of indemnity and a lien over them for this purpose. This explains why the balance sheet of a corporate trustee will show the trust liabilities on the credit side and the right of indemnity as a company asset on the debit side. In the case of a discretionary trust it is usually thought that the trust liabilities cannot generally be pursued against the beneficiaries’ personal assets, but this may not be the case with a fixed or unit trust. A trustee must act in the best interests of beneficiaries and must avoid conflicts of interest. The trustee deed will set out in detail what the trustee can invest in, the businesses the trustee can carry on and so on. The trustee must exercise powers in accordance with the deed and this is why deeds tend to be lengthy and complex so that the trustee has maximum flexibility. Who can be a trustee? Any legally competent person, including a company, can act as a trustee. Two or more entities can be trustees of the same trust. A company can act as trustee (provided that its constitution allows it) and can therefore assist with limited liability, perpetual succession (the company does not “die”) and other advantages. The company’s directors control the activities of the trust. Trustees’ decisions should be the subject of formal minutes, especially in the case of important matters such as beneficiaries’ entitlements under a discretionary trust. All states and territories of Australia have their own legislation which provides for the basic powers and responsibilities of trustees. This legislation does not apply to complying superannuation funds (since the Federal legislation overrides state legislation in that area), nor will it apply to any other trust to the extent the trust deed is intended to exclude the operation of that legislation. It will usually apply to bare trusts, for example, since there is no trust deed, and it will apply where a trust deed is silent on specific matters which are relevant to the trust – for example, the legislation will prescribe certain investment powers and limits for the trustee if the deed does not exclude them. Because a trust is not a person, its income is not taxed like that of an individual or company unless it is a corporate, public or trading trusts as defined in the Income Tax Assessment Act 1936. In essence the tax treatment of the trust income depends on who is and is not entitled to the income as at midnight on 30 June each year. If all or part of the trust’s net income for tax purposes is paid or belongs to an ordinary beneficiary, it will be taxed in their hands like any other income. If a beneficiary who is entitled to the net income is under a “legal disability” (such as an infant), the income will be taxed to the trustee at the relevant individual rates. Income to which no beneficiary is “presently entitled” will generally be taxed at highest marginal tax rate and for this reason it is important to ensure that the relevant decisions are made as soon as possible after 30 June each year and certainly within 2 months of the end of the year. The two month “period of grace” is particularly relevant for trusts which operate businesses as they will not have finalised their accounts by 30 June. In the case of discretionary trusts, if this is done the overall amount of tax can be minimised by allocating income to beneficiaries who pay a relatively low rate of tax. The concept of “present entitlement” involves the idea that the beneficiary could demand immediate payment of their entitlement. It is important to note that a company which is a trustee of a trust is not subject to company tax on the trust income it has responsibility for administering. In relation to capital gains tax (CGT), a trust which holds an asset for at least 12 months is generally eligible for the 50% capital gains tax concession on capital gains that are made. This discount effectively “flows” through to beneficiaries who are individuals. A corporate beneficiary does not get the benefit of the 50% discount. Trusts that are used in a business rather than an investment context may also be entitled to additional tax concessions under the small business CGT concessions. Since the late 1990s discretionary trusts and small unit trusts have been affected by a number of highly technical measures which affect the treatment of franking credits and tax losses. This is an area where specialist tax advice is essential. Why a trust and which kind? Apart from any tax benefits that might be associated with a trust, there are also benefits that can arise from the flexibility that a trust affords in responding to changed circumstances. A trust can give some protection from creditors and is able to accommodate an employer/employee relationship. In family matters, the flexibility, control and limited liability aspects combined with potential tax savings, make discretionary trusts very popular. In arm’s length commercial ventures, however, the parties prefer fixed proportions to flexibility and generally opt for a unit trust structure, but the possible loss of limited liability through this structure commonly warrants the use of a corporate entity as unitholder ie a company or a corporate trustee of a discretionary trust. There are strengths and weaknesses associated with trusts and it is important for clients to understand what they are and how the trust will evolve with changed circumstances. One of the most fundamental things to understand about trusts is that losses are “trapped” in the trust. This means that the trust cannot distribute the loss to a beneficiary to use at a personal level. This is an important issue for businesses operated through discretionary or unit trusts. Decide on Appointors and back-up Appointors as they are the ultimate controllers of the trust. They appoint and change Trustees. Select the trustee. If the trustee is a company, form the company. There are all sorts of unexpected consequences coming out of the changes to the superannuation rules. As a result of moving funds over $1.6m back to accumulation to meet the Transfer Balance Cap (TBC), you may in fact now qualify for the Commonwealth Seniors Health Care card. There may be a silver lining to the new $1.6 million transfer balance cap (TBC) for some SMSF members. Having less money in an account based pension and more money in accumulation or other assets may result in some SMSF members being entitled to receive the Commonwealth Seniors Health Card (CSHC). This is because amounts held in accumulation phase are not deemed for the CSHC and are not included in a member’s personal taxable income. Now if the excess over the $1.6m is/was withdrawn out of superannuation, whether it will count as income for the CHSC will depend on how the client invests it. for example financial investments such as shares, rented investment property and interest will be deemed but a Holiday home not rented out will not be deemed towards the CSHC income test. Older pensions may be even more forgiving! Income from an account based pension is deemed under the usual Centrelink deeming rates unless the account based pension commenced before 1 January 2015, and the client was entitled to the card before 1 January 2015 and continues to hold the card. This is known as the grandfathering rules. For SMSF members who are not eligible for the grandfathering rules, holding a significant amount of money in an account based pension means that they have a lower likelihood of being eligible for a CSHC. Prior to 1 July 2017, for most SMSF members it was more beneficial to hold as much as possible in an account based pension for tax purposes even if this meant they were ineligible for the CSHC. The tax savings on the excess would have outstripped the CSHC benefit. However, from 1 July 2017, SMSF members can only hold up to $1.6 million in an account based pension and if they are also receiving defined benefit pension income the amount which can be held in account based pensions will be lower. Depending on other income the member receives, this may result in them now being entitled to the CSHC. James is single and is age 67. In the 2016 -2017 financial year, he had $2 million in his account based pension, and no other income. The deemed income from his account based pension is calculated as $64,247 based on deeming rates and thresholds as at 1 July 2017. His deemed income exceeds the income threshold of $52,796 for the CSHC and therefore he is not entitled to a CSHC. On 30 June 2017, he rolls $400,000 back to accumulation leaving $1.6million in his account based pension. The deemed income on $1.6 million is $51,247 and is under the income threshold of $52,796 (20 March 2017) meaning that James is entitled to a CSHC after rolling back money from his account based pension to accumulation. Client Question : My next question is about the threshold income level at which my wife and I will start to pay personal tax in 2017-18. I read “about $28,000” in the paper the other day for my situation (age >65), but my wife does not turn 65 until 2018, so her tax-free level may be different. It would be useful to know these numbers in the case we decide to take some lump sums out of super because of the new limits. We are considering investing some money tax-free in our personal names, free of SMSF red tape. The amount you can earn before you have to pay tax, actually depends on your age. For those people under age 65, the effective tax-free threshold is currently $20,542. How do we calculate this amount? Well, if you look at the ATO’s current Individual income tax rate table, you pay no tax on the first $18,200 you earn in a year. However, you also get the benefit of the full low income tax offset if you earn below $37,000. That means the tax office will offset up to $445 from the tax you would normally have to pay. So you can earn another couple of thousand dollars before you have to pay tax. $28,974 each for members of a couple or $57,948 combined. The beauty of this benefit is that for clients in SMSF Pension phase any income drawn from a super fund income stream once over 60 is tax-free and non-assessable, meaning it doesn’t count towards the above thresholds. Based on an earnings rate of 5% this means that a couple could have over $500,000 in each of their names and not pay any tax. But be careful as if you are investing in growth assets then triggering capital gains in the future may mean exceeding these thresholds where as within the SMSF the CGT on pension assets is NIL and 10-15% in accumulation. This is part of series on the necessary changes to strategies and opportunities that have resulted from the pending 1 July 2017 changes which will see earnings on transition to retirement (TTR) pensions subject to 15% tax in the fund. I know this has created concerns with many trustees and advisers around the question of should you access the relief and if so how to actually access the CGT relief provisions. People want to know what factors they must take in to consideration. Some of the concerns have been clarified by the ATO. One concern was that trustees would need to commute their TTR pensions and roll back into accumulation before 1 July to access the CGT relief provisions. Those relief provisions would allow the cost base of all or selected eligible assets to be reset to the current market value on a date chosen by the trustees between now and 30 June. This CGT relief allows trustees to in effect, retain the tax-free status of unrealised capital gains accumulated prior to 30 June 2017. The newly issued ATO issued Law Companion Guideline (LCG) 2016/8 has provided some excellent clarification. If your SMSF is operating as an unsegregated fund, the LCG states that member will not need to commute back to accumulation phase to be able to elect to reset the cost base of assets the wish to elect to apply the CGT relief. It is intended that the same basis should be available for segregated funds, but the ATO has indicated is still reviewing options for how to make this work in practice. I will try to keep this blog updated with any guidance from the ATO on this matter but please make sure you adviser/administrator is on top of these matters. An SMSF that only has TTR or account-based pensions (and no accumulation phase) is automatically classified as a segregated fund. However if you put in a new contribution, as many are, this year then that money goes in to accumulation and the fund becomes automatically unsegregated. So look at your contribution intentions. All is not lost as the fund would still have been segregated until that contribution was made and you may elect for that date to be the new CGT cost base valuation date. you should to continue a TTR pension after 1 July 2017 or to commute back to accumulation phase. Can use salary sacrifice or personal deductions to contribute a higher net amount into super than they need to withdraw. If the TTR pension is no longer required, care should be taken with the commutation and timing of the commutation to ensure the CGT relief provisions can be accessed on any assets they wish to claim the relief for. Looking for an adviser that will keep you up to date and provide guidance and tips like in this blog? Then why now contact me at our Castle Hill or Windsor office in Northwest Sydney to arrange a one on one consultation. Just click the Schedule Now button up on the left to find the appointment options. Do it! make 2016 the year to get organised or it will be 2026 before you know it. Verante Financial Knowledge Centre We understand that the financial industry is full of jargon and concepts that can be difficult for people to get their head around or remember. So to learn more about money and finance at our Financial Knowledge Centre is a great place to start. SMSFs – A Financial Planning guide for new Trustees This guide outlines the key things you need to know about SMSFs.